There is a lot more to being a landlord than simply collecting the rent from tenants of the buy to let property you own. A landlord has quite a raft of responsibilities and obligations, many of which are related to the health and safety of tenants; some of which may impact on the landlord’s insurance necessary to safeguard the integrity of the property; and some of which are designed to help maintain the standard and quality of housing within a particular local authority area. Since most of your obligations have the force of law, it is important that they are understood before you take on the role of landlord – whether you have set out with the express purpose of running a buy to let business or whether you have become an “accidental” landlord after coming into a property which seems fit to let. Your understanding and compliance with these responsibilities may also have an impact on the effectiveness and validity of your landlord insurance – it is why here at Cover4LetProperty we have also produced a companion guide on legislation affecting landlords. The guide concludes with a summary, and is designed to offer an overview of what you need to know. Please note that legislation is subject to change and while the information within this guide is based on our current understanding of the subject, it should not be considered to be qualified legal advice. Official advice makes it clear that the landlord has a primary responsibility for maintaining their let property in a condition that is safe and free from health hazards. In pursuit of these aims, the Citizens’ Advice Bureau also points out that the landlord has a general, underlying responsibility for carrying out repairs to the property. Although a tenancy agreement may contain express terms about the range of repairs to which a landlord agrees, there are a number of responsibilities which are so basic that the landlord cannot avoid them – they are unavoidable implied terms of any tenancy agreement. gas and water pipes, electrical cables, gas fires, boilers, radiators, electric fires and other heaters that are fitted in the property. A landlord has a fundamental responsibility for the health and safety of tenants – and, for that matter, tenants’ and other visitors to the property, neighbours and the public at large. This is enshrined in the common law concept of the landlord’s duty of care – a duty to avoid any action and to take any action necessary to prevent any of these individuals from suffering an injury or having their property damaged in any way related to the let property. If any such event, the injured party or parties may sue you for damages by way of compensation. In cases of physical injury, in particular, these claims may reach very substantial proportions. As your defence against such claims, the buy to let property insurance policies arranged here at Cover4LetProperty typically include at least £1 million landlords liability insurance – if you are in any doubt whether this liability insurance is included in your existing policy, you might want to consult us straight away. there are additional regulations – principally related to fire escapes – for purpose-built blocks of flats and for houses that have been converted into flats. If your local authority believes there might be health and safety concerns with your property, or if your tenants ask for one, the council may decide to conduct an inspection according to the Housing Health and Safety Rating System (HHSRS) – details of which are discussed in a later section of this guide. If it has been competently installed and is regularly and efficiently maintained, your gas installation and appliances are likely to function properly and without any risk of leaks or explosion. But the integrity of that gas system is so important and the dangers of any kind of malfunction so great, that the law imposes specific obligations on the landlords of let property. The relevant legislation is the Gas Safety (Installation and Use) Regulations 1998 and these apply to your property if there is any gas supply or gas appliances such as cookers, gas fires, gas-fired water heaters or gas-fired central heating boilers. The regulations require that you arrange an inspection and safety check of the complete installation – supply pipework and fittings and all appliances – a minimum of once every year. Energy suppliers, British Gas, however, recommend that the gas safety inspection is carried out more frequently if, for example, different tenants have come and gone during the year. Naturally, the safety check must be made by a qualified gas engineer and the way of ensuring that this is the case is to refer to the Gas Safe register of certified engineers. A new certificate needs to be issued not only after the annual safety inspection, but also whenever a new gas appliance is installed or any appliance has been serviced. A copy of the certificate which the inspecting engineer issues also needs to be given to your tenants – within a period of 28 days or as soon as new tenants take up a lease. reporting any evidence of unsafe or dangerous pipework, fittings or appliances. Before the Gas Safe engineer is able to issue your gas safety certificate, the whole installation and all of its appliances need to pass every item on this safety checklist. To help make sure that your system passes its annual safety check, therefore, you might want to give serious consideration to the servicing of all gas appliances – and to any gas central heating boiler or water heater in particular. If tenants raise specific complaints about the way in which any gas appliance is working or if there is the smell of gas anywhere in the let property, of course, this must be given your immediate attention. Regular servicing by a qualified gas engineer may also help you make sure that the central heating boiler, for example, does not break down in the middle of winter, just when the tenants need it, and you face the expense of calling out for repairs when service engineers are at their busiest – and therefore most expensive. Following changes to Health and Safety Executive (HSE) legislation, landlords now have a specific obligation in helping to prevent the spread of Legionnaire’s Disease. The principal thrust of this legislation means that landlords need to carry out a risk assessment for the Legionella bacteria and, in the light of that risk assessment to take suitable measures for its reduction and control. These form a further part of your responsibility as a landlord to protect the health and safety of your tenants. The Legionella bacteria occur naturally in rivers and lakes, but are also present in commercial and residential water systems – whether in storage tanks, in the pipework or showers and taps. Legionnaire’s Disease is a serious lung infection, explains the NHS website. The potentially life-threatening infection caused by the bacteria develops initial symptoms which might include a high temperature or fever, mild headaches, tiredness, chills, muscle pain or a sense of confusion – many of the symptoms, in other words, that you might associate with the ‘flu. As the infection takes hold and spreads, the symptoms become more serious, with a cough, chest pains and shortness of breath that is also associated with pneumonia. Certain complications of the disease may lead to death, especially in those individuals most susceptible to the disease. The risk of Legionnaire’s Disease is usually associated with larger water systems – such as those you might find in hotels, hospitals, factories or office blocks. But the Legionella bacteria may also exist in smaller, domestic systems, such as those designed to supply your tenants. Hence, the specific obligations placed on landlords to assess the risk and to take appropriate measures to control it. The bacteria continue to be present at low temperatures, but thrive and multiply in ideal conditions of between 20º and 45ºC. The good news is that the risk of Legionnaire’s Disease in normal residential water systems is really quite slight. The Residential Landlords Association (RLA), for instance, suggests that there is rarely any reason why the landlord should not conduct the risk assessment his or herself, without the need for any expensive consultant. HSE requirements, might therefore be met by simply being aware of the potential problem and by taking a few simple steps to reduce the risks. The HSE publishes guidance on these measures, which might be summarised in terms of ensuring a frequent flow and changeover of water, keeping the water clean and free of rust and other debris, preventing water stagnation points in any part of the system, avoiding those temperatures in which the Legionella bacteria thrives (20º to 45ºC) and avoiding the use of materials which also encourage the growth of the bacteria. Special care may be taken if a property has been unoccupied for several months and the water storage systems have been left to stagnate. In sum, therefore, it is important that you recognise your responsibility as a landlord to help prevent your tenants contracting Legionnaire’s Disease. This means that you are sufficiently conscious of the risks to carry out a risk assessment – and in the majority of cases that risk is likely to be very slight. In any event, the measures to help control the risk are simple, straight forward and unlikely to involve great expenditure on your part. The Housing Health and Safety Rating System (HHSRS) was included in provisions of the Housing Act 2004 and came into force in April 2006. It is a system used by local councils to assess whether a property is suitable to be let to tenants and that there are no hazards or dangers in doing so. your tenants ask for such an inspection to be carried out. Although the HHSRS is used mostly for the assessment of private rented housing, it may also be used to assess owner occupied property too. The official guidance originally issued to landlords about HHSRS runs to some 72 pages and is likely to come across as extremely complicated. First published in 2006, the guidance has not been updated since. It might come as no surprise that a briefing paper prepared for the House of Commons in May 2016 referred to the widespread criticism with which the HHSRS continues to be met and the limited understanding of it which is shared by landlords and tenants alike. Unsurprisingly, there has been pressure for a simpler, more straight forward set of health and safety standards to be introduced. 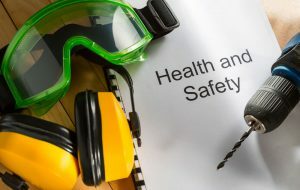 Continuing to work according to the provisions of the Housing Act 2004, councils currently employ a risk-based assessment which considers 29 separate health and safety indicators. Each of these potential hazards is awarded a risk assessment score of category one or category two – depending on its seriousness – by the council’s inspectors. On the strength of the council’s assessment, you might be issued with an enforcement notice, calling for remedies for the problems and hazards identified. The responsibility falls to you as the landlord to take action on the hazards referred to in the enforcement notice. issue a stop notice, preventing you or anyone else from using all or part of the let property. You have the right to appeal against any enforcement notice the council may issue. The HHSRS was introduced and continues to be used to encourage standards of accommodation in the private rented sector. As the briefing paper prepared for the House of Commons suggests, however, there is some doubt whether the system is currently achieving that objective. It remains to be seen what, if any, assessment system replaces it. When you take on the role of landlord, you also take on a number of responsibilities and obligations to safeguard the health and safety of your tenants. Some of those obligations are clearly defined and entirely expected. Others, however, might come as a greater surprise and are less readily understood – your responsibilities for reducing the risk of Legionnaire’s Disease or the basis on which the standard of your accommodation might be asses according to the Housing Health and Safety Rating System (HHSRS). Your awareness of all of the responsibilities and obligations might go a long way to ensuring that you keep the right side of the law, comply with the expectations of your local council and retain responsible and contented tenants.